AS SEEN ON A PLACE IN THE SUN TV! 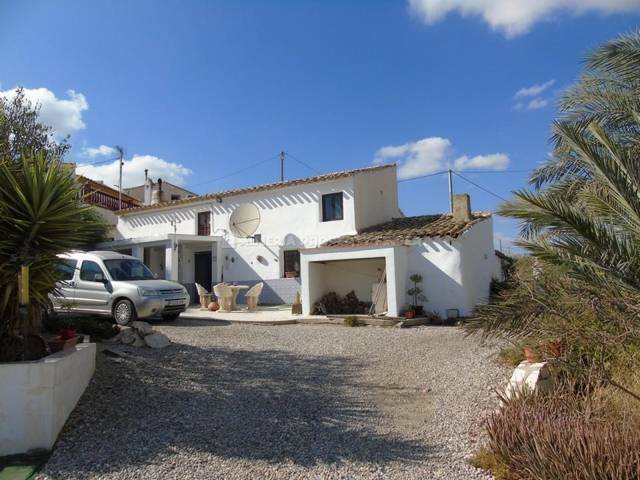 Fabulous fully renovated 3 bedroom country house with beautifully planted gardens and an olive grove comprising 22 mature olive trees. 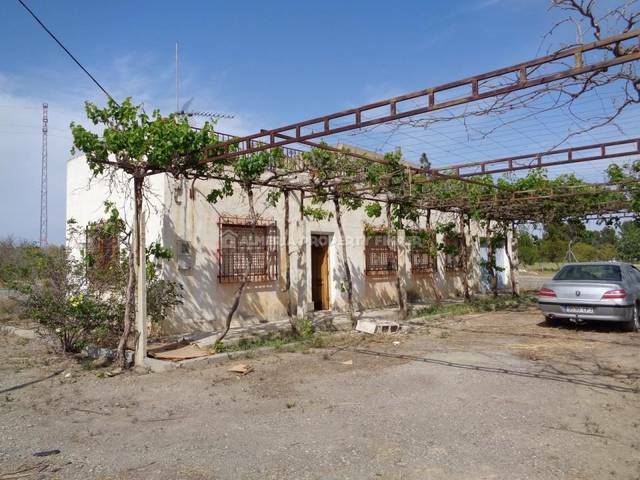 With a build size of 190m2, this two storey semi-detached property for sale in Almeria Province is set in a plot of 2165m2 in the Arroyo Albanchez area, only a few minutes drive or 20 minutes walk from the charming village of Almanzora which offers basic amenities including tapas bars, small supermarkets, a bank, medical centre and pharmacy. 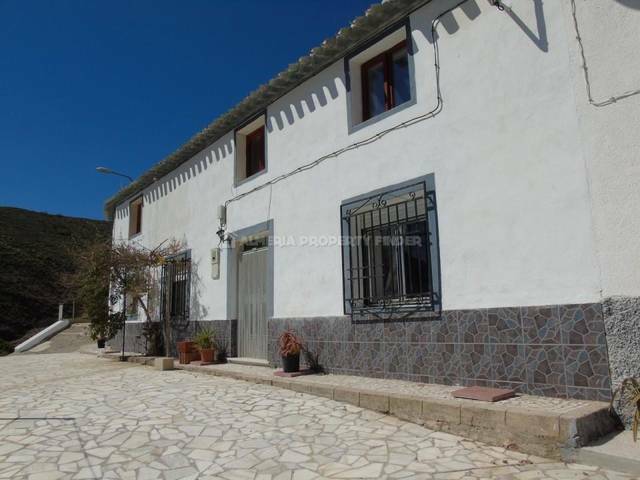 The property has been tastefully renovated whilst maintaining many traditional features. To the front of the house is a covered terrace, shaded by colourful climbing plants, and from here the front door opens into a spacious dining room. A wide archway leads through to the lounge which has a feature stone wall with traditional fireplace housing a wood burner. Also off the dining room is a door leading into the master bedroom which benefits from fitted wardrobes, a ceiling fan and an ensuite shower room comprising large shower cubicle with sliding glazed doors, WC and pedestal basin. The lounge has a Moroccan style arch which leads through to a lovely Andalucian style kitchen, and a door which leads out to a pretty courtyard garden which offers ample space for alfresco dining and entertaining. The stone walled garden is laid to gravel with colourful border planting and a rockery cactus garden. From the kitchen, steps lead up to a door with stairs leading up to a second living room with free standing wood burner. A door leads through to a hallway which gives access to two double bedrooms and a terrace from which to enjoy the stunning views across the surrounding countryside. Also on the first floor is a family bathroom which has both a shower cubicle and a bath tub, along with a WC and pedestal basin. Mains water, electricity and internet are connected and telephone is also available.